Bio-refinery for the sequential production of bio-diesel, bioethanol, biohydrogen and biomethane using leather and slaughterhouse solid wastes. 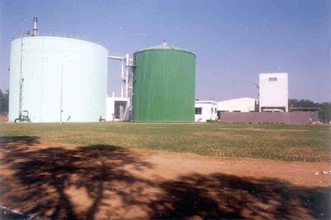 Modified UASB, photo-bioreactors, and submerged anaerobic / aerobic membrane bio-reactors, Environment Impact Assessment (EIA), Environmental Audit (EA), and Environmental/Energy Management Systems (EMS) and organizing training programme for Environmental issues are some of the ongoing activities of Environmental Technology Division. The Environmental Technology Division has been the Center for empowering the Ph. D , M.Tech , M.Phil ,M.Sc and MS students in Environmental Engineering/Science/Technology by national/ internationally educated Scientists.